As you will have seen, we now have a trenching plan. In fact, we've also installed the first LBA aerial. However, our photographs are lagging behind a bit (not enough hours in the day to keep up... despite the 24 hours of daylight!). So, today we'll attempt to catch up. 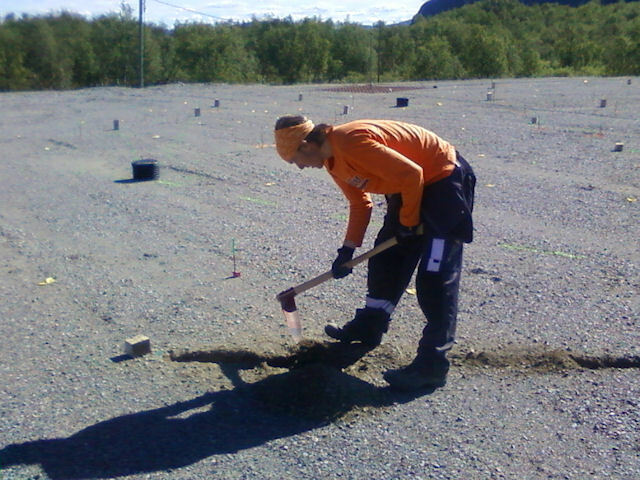 Unlike many LOFAR sites, the trenches for the low-band array are neither laid and backfilled (e.g. SE607), nor dug by machine (e.g. UK608). 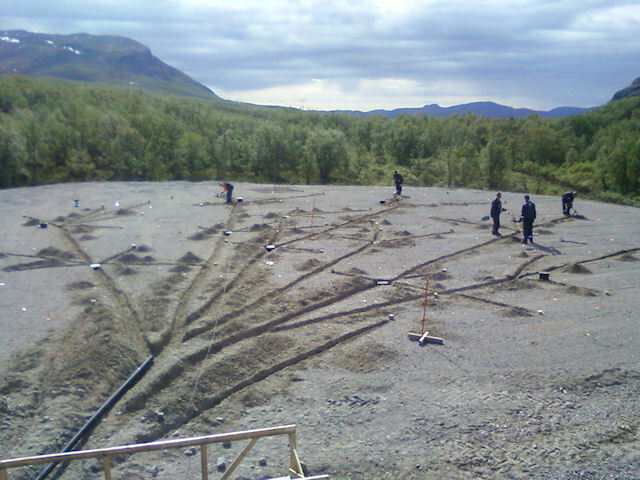 Instead, we have shallow trenches that are dug by hand, and the the cables are run through conduits in the ground. 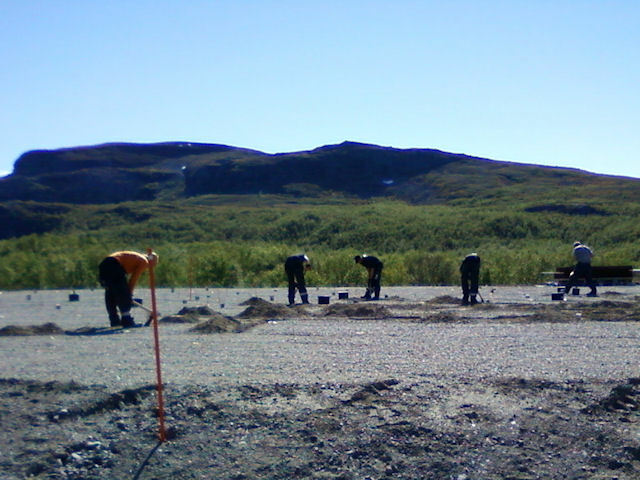 To dig the trenches, we use a special tool, that is sort of a cross between and adze and a trenching tool. Despite the hard, rocky ground, the summer students made fast work of the task and had the entire trenching task done in two days. 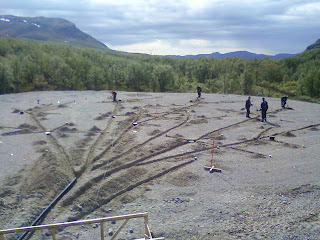 As can be seen from the last photograph, the pattern of trenches starts to look like a tree. Indeed, in the documentation, we refer to the trunk (joining the RF container to the first node), branches (between nodes) and twigs (going from a node to an aerial location).